Treatment for addiction must address the whole individual from a mind-body-spirit perspective. Addiction is an illness that not only impacts an individual physically but also impacts them mentally, emotionally and spiritually. Therefore, an addiction treatment center must be able to offer forms of holistic services that address every one of those components. Yoga is an excellent holistic tool to support clinical services when treating addiction. Yoga is a group of physical, mental and spiritual practices, techniques or disciplines, originating in ancient India, that are engaged in with the ultimate goal being “moksha” (liberation). Practicing yoga include breath control, meditation and the adoption of specific body postures. Yoga is a well-known and often utilized practice in current society for health, relation and well-being. 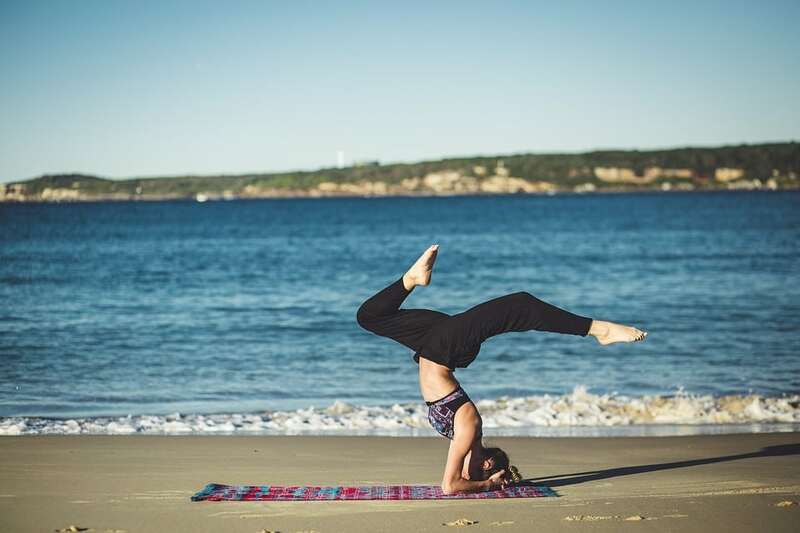 A major benefit to utilizing yoga in addiction treatment and early recovery is that no one need to be an expert in the practice to participate on yoga, nor must that possess any specific body type, talent, ability or fitness requirements. Yoga, like addiction treatment should, meets the individual where they are at and allows them to move forward at their own pace. Yoga is more than simply a physical practice, but is an activity meant to aid in healing the body, mind, soul and spirit of a person. This is why the practice of yoga works so well in conjunction with traditional treatment for addiction. Addiction is a disease that ravages a person’s body and negatively impacts their mental health, emotional well-being and spiritual perspective. Yoga is a tool that addresses each and every one of these areas. When someone enters into addiction treatment and then into early recovery, they are broken. They are broken mentally. They are broken emotionally. They are broken spiritually. Their bodies are worn down and damaged from drugs and alcohol. Yoga as a practice begins the individual to on a journey of healing. Yoga aids in strengthening the body, strengthening the mind and strengthening the spirit. Additionally, the physical practice of yoga actually can release dopamine and endorphins which is vital for the body to replace after the use and abuse of chemicals. Just as exercise can produce a “natural high” so can the practice of yoga. Therefore, yoga can be a great practice to reduce and relieve stress, help quiet the mind and aid the individual in finding a sense of comfort and peace at a time when their mind is typically running at a 1000 miles an hour. Addiction treatment is typically the first step in the process of recovery. Patients in treatment do not feel well. Their bodies hurt. They haven’t been sleeping. Their appetite is impacted. Their minds race. They are filled with guilt, shame, remorse, resentment, anger and self-pity. It is difficult in getting through these issues to enter into a journey of recovery. Therefore, when used in conjunction with comprehensive and individualized clinical services, yoga acts as a useful tool in allowing the person in treatment to find quiet, peace and serenity. It allows them to be in the moment, to get into their body, to listen to what it is telling them. It allows the patient the ability to connect the physical, mental and spiritual. Yoga is a vital tool that can add numerous benefits to patients in addiction treatment. At Maryland Addiction Recovery Center we believe in using yoga and one of the many approaches for patients. Multiple times weekly patients engage in professionally-led yoga sessions that allow them to begin to incorporate yoga and similar practices into their own personal journey of recovery. If you or someone you know is in need of help because of drug and/or alcohol abuse or addiction, please give us a call. Maryland Addiction Recovery Center offers the most comprehensive dual diagnosis addiction treatment in the Mid-Atlantic area. If we aren’t the best fit for you or your loved one, we will take the necessary time to work with you to find a treatment center or provider that better fits your needs. Please call us at (888) 491-8447 or email our team at info@marylandaddictionrecovery.com. For more information on all of our drug addiction and alcohol addiction services and recovery resources, please visit our web site at www.marylandaddictionrecovery.com.